The fetchall ( ) method that is mentioned above is used to fetch all the particular rows from the statement that was executed last in this programming language. If you wish to only select some of the columns that are present in a table then you can do that too. To accomplish that task you need to use the ‘SELECT’ statement. Once you mentioned this statement then you shouldn’t forget to follow it by the name of the column or the names of the column that you wish to select. If you wish to select the address and the name column then the python mysql select example for this is mentioned below. If you wish to fetch only a single row from a particular table then we suggest that you should use the fetchone ( ) method. If you use this method then it is important for you to remember that as the result of this method you will only be returned with the first row of the entire table. The python mysql select example for this is mentioned below. 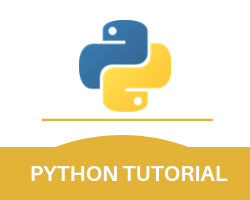 With this, we finish the python mysql select query part of our entire Python MySQL tutorial.